This November, as the leaves all around us fell from trees, we added leaves to our own tree inside. We created a Thankful Tree. Each day the children and I cut out a construction paper leaf, write something we’re thankful for that day, and tape it to the paper tree in my office. We try to keep the thanks simple, something we don’t spend a lot of time considering and appreciating. So far, my 6-year-old is thankful for snow, his dog and his tree house. My 9-year-old daughter is grateful for veterans, her teachers and her friends. I am thankful for naps (my own, but especially others), coffee and the woodstove. My favorite thanks so far? It’s got to be this one. 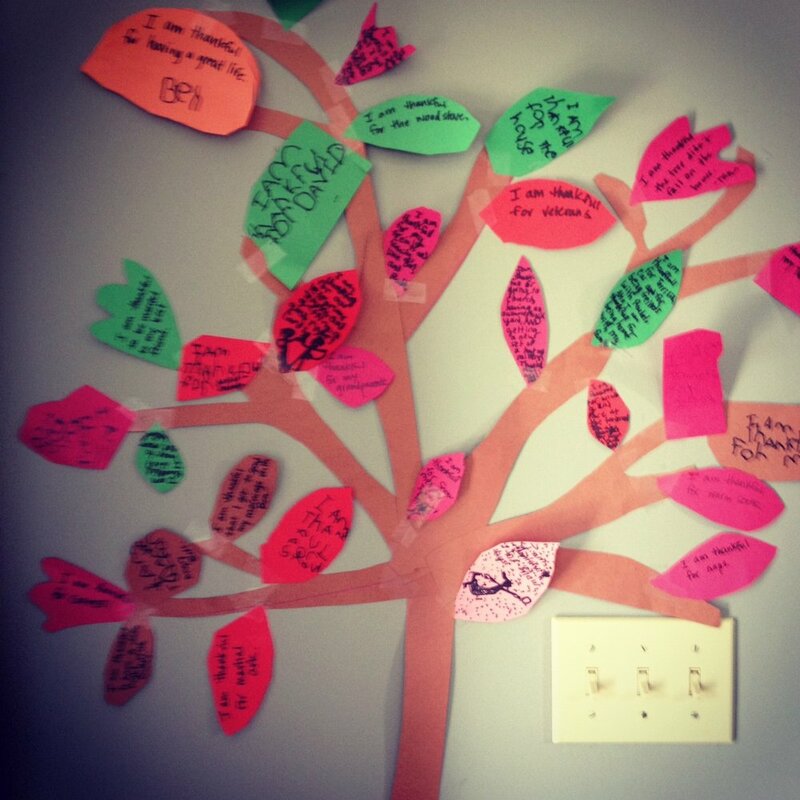 What would you add to our Thankful Tree?